Please check out the hundreds of great value Spa Breaks UK offers from www.greatestgifts.co.uk. We are the one stop website for Midweek and Weekend Spa Breaks UK from some of the top suppliers. From very cheap Spa break deals to lavish and luxurious Spa break deals Uk that are top of the range, we have a huge range to choose from. Superb Spa Breaks in the UK at www.GreatestGifts.co.uk. Located in the beautiful and historic city of Bath the Royal Crescent Hotel Spa Break is one of the best in the UK. You will be delighted to find chocolates, Champagne and flowers waiting for you in your luxurious room. The luxury two or three night Spa Break UK in Bath at the Royal Crescent Hotel really is about as good as it gets with a stay in a luxury Deluxe Suite just part of the deal that also has some wonderful Spa treatments, use of the fantastic facilities and superb dining. 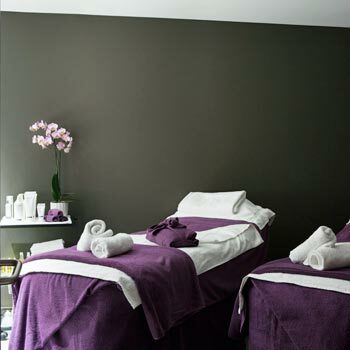 A superb Spa Break in the UK can be enjoyed at the Hartwell House in Aylesbury, Buckinghamshire. This stunning 17th century country house Hotel and Spa is set is beautiful surroundings comprising of around 90 acres of lovely parkland. If you fancy a stay in a luxury room complete with four poster king-sized bed and views out over the impressive grounds then this is the Spa Break UK deal for you. The facilities include spa, swimming pool, sauna, indoor hot tub, whirlpool bath and steam room. You could try fishing in the nearby lake, play a game of tennis or enjoy a spot of croquet in the immaculate grounds. The award-winning restaurant provides the gourmet food on this super Spa break in the UK. Really get away from it all with a 4-Star, Losehill House Hotel Spa Break deal in the Peak District's Hope Valley. Fantastic facials, marvellous manicures, exfoliating treatments, relaxing Indian head massages, hot stone massages, pedicures and waxing make this spa break deal such great value. Other superb facilities on this spa break deal include a hot tub with superb views out over the beautiful Win Hill. Luxurious Spa Break Deals UK available across the country including Spa Breaks in South East, South West, North West and Spa Break Offers in Scotland, Wales and Northern Ireland.